Need Peoria HVAC help? Peoria, IL is one of the areas that Air Ace Heating & Cooling serves, helping residents and businesses enjoy the best climate in their homes and offices. Whether you need us to review your furnace, prepare your home for the winter, make sure your system is efficient, or simply replace your old air conditioning unit for a new one, you can rely on the expertise of Air Ace Heating & Cooling. Peoria is a city in Peoria County, Illinois. It is the largest city on the Illinois River and the oldest European settlement in Illinois. It's humid and continental climate makes local residents and business organizations request Peoria HVAC services. We are proud of doing business and providing superb Peoria HVAC services. It’s a great city and we’re committed to its success and economic development. Peoria is a pleasant, friendly, and small community. Over the years, it has become an important business, industrial and agricultural center. Consistent with its mainstream Midwestern stereotype, life in Peoria is generally quiet. Being a river city, its riverfront offers picturesque views. This area is famous for its good restaurants, live entertainment, and cultural centers. Residents also enjoy thousands of acres of parks, what makes Peoria a great city for lovers of the outdoors. Summers in Peoria are humid and hot. Peorians are used to the almost daily high temperatures and the uneasy sticky feeling and expect to enjoy a cool and pleasant at their homes and offices. Air Ace Heating & Cooling helps them stay cool with the best Peoria AC services. Whether you want to purchase another AC unit, check that the one you have is in good condition, or fix any issue in your air conditioner, you can rely on our professional team for an expert solution. Winters in Peoria, IL are characterized by cold and snowy days. Needless to say, locals expect to stay warm at home or at their offices. Our professional team is an expert in Peoria heating, providing advice on the most convenient furnace alternatives and the ones that are more energy efficient. Get in touch with us today and let us help you with your Peoria heating needs. 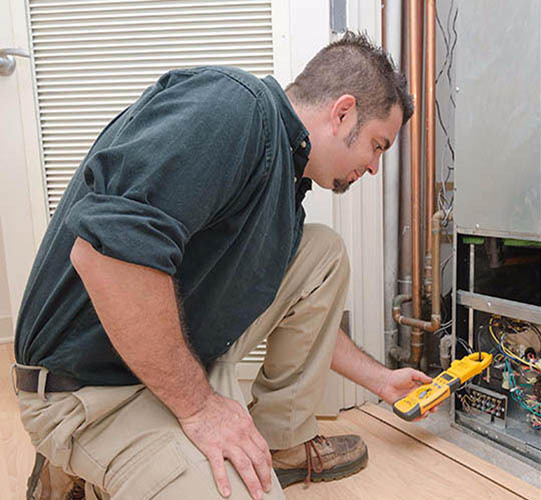 If you live in Peoria or successfully manage a business here, and you need to repair your AC unit or check how efficient your furnace or heating system is, don’t think it twice and rely on the expertise of Air Ace Heating and Cooling to help you. Contact us at 1-309-678-9577!